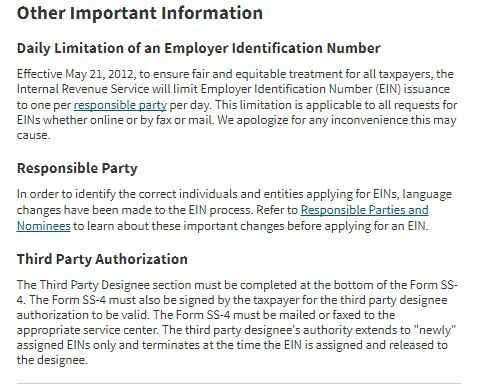 Can you please me different ways to apply for EIN services offer by Internal Revenue Service (IRS) and also let me know the address of service? Donâ€™t worry I will get the address of Internal Revenue Service (IRS) and will also tell you different procedure to apply for EIN services. 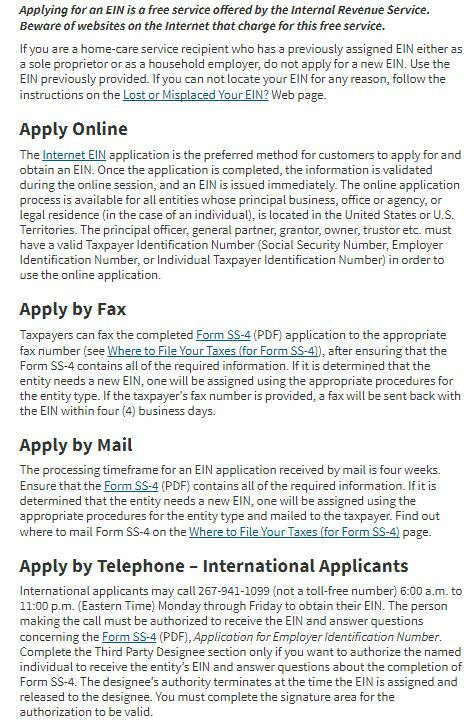 The processing timeframe for an EIN application received by mail is four weeks. Ensure that the Form SS-4 contains all of the required information. International applicants may call 267-941-1099 (not a toll-free number) 6:00 a.m. to 11:00 p.m. (Eastern Time) Monday through Friday to obtain their EIN. The person making the call must be authorized to receive the EIN and answer questions concerning.